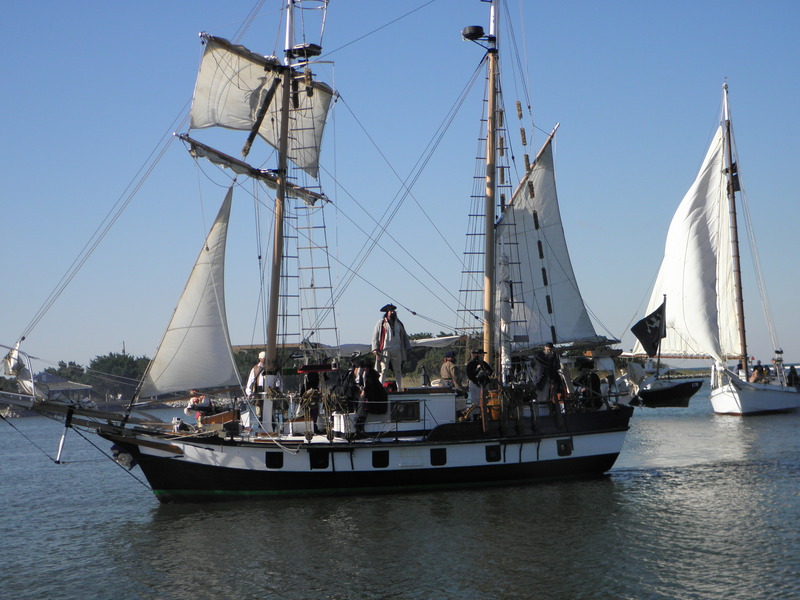 Chart your course to beautiful Ocracoke Island for a special Halloween treat this year with Blackbeard’s Pirate Jamboree and a weekend of swashbuckling fun Oct 30 to Nov. 1. Proud of its rich pirate heritage, the island will celebrate the last days of Blackbeard. See the posts below for details about this weekend. This is an annual event sponsored by the Ocracoke Civic and Business Association on the last weekend in October, leading to the 300th anniversary of Blackbeard’s demise in 2018. For more information, visit the website www.ocracokevillage.com and the Facebook page: Ocracoke Pirate Jamboree. This entry was posted in Ocracoke Information. Bookmark the permalink.